Sam Smith specializes in San Clemente Real Estate including homes for sale in San Clemente, California. The most comprehensive website for San Clemente Real Estate! Sam has personally SOLD over 50 Homes in 2010 and is eager to help you too! Sam Smith specializes in the Southwest San Clemente area. The Southwest San Clemente area is very unique with custom homes and close proximity to the beach. San Clemente were the only real estate brokerage in area exclusive only to home buyers. Buyer Only Real Estate Brokerage. 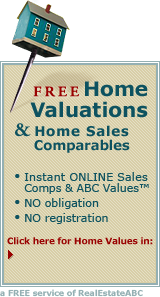 Search San Clemente oceanview homes, condos and townhomes to show you also oceanfront realty. Your Exclusive Buyers Agents.